From humble beginnings and a life filled with a variety of joy, triumph, vigor, hardships, pain and suffering, a movement was born – YogaNursing and the YogaNurse Model of Care. It was through the struggles in my life that I found my true calling. I was inspired by my son Julian, nurses, yoga teachers and leaders in holistic medicine to create YogaNursing. It began as a simple concept and over the years it took a vitality and a life force of its own. It is now a movement expressed through the lives and work of nearly 1000 nurses around the world who have taken the YogaNursing training. I can only express my gratitude to all of you in words that are sadly inadequate – thank you! It is through your belief in our movement that we are able to create a keener awareness and cater to the needs of nurses and their patients. AHNA Beginnings – a popular nursing magazine – recently did a feature article on my story. It is the synopsis of the beginnings of YogaNursing and a good read if you’re interested in where this movement began and how meaningful it is to me to see YogaNursing enjoy the success that it is currently receiving. 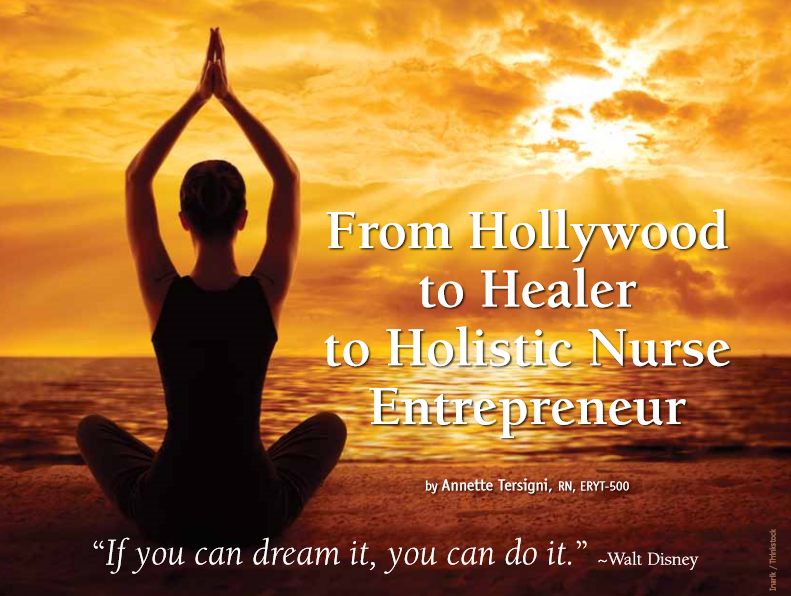 – Annette Tersigni, RN and Founder of YogaNursing.